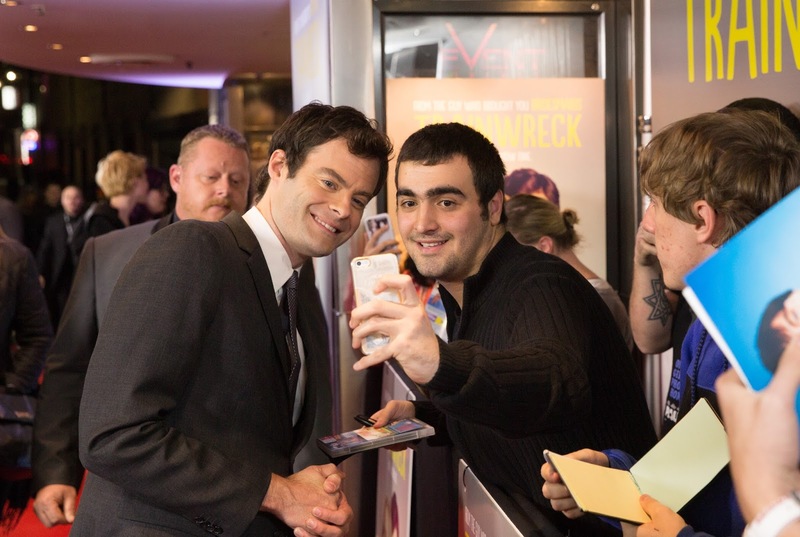 Scope these rad pics of Amy Schumer and Bill Hader meeting the peeps at the Sydney premiere screening of Trainwreck recently! This funny flick about the dating exploits of Amy’s character is released in NZ Cinemas next Thursday, 13th August. In the meantime, enjoy these pics of Amy clearly loving the opportunity to connect with her Australian fans. Amy Schumer has her paparazzi moment on the red carpet in Sydney. Bill Hader and Amy Schumer shine on their Trainwreck premiere night in Sydney. Whoa…stop! Selfie time! Bill snaps a pic with an Aussie fan in Sydney. Obviously you know my only question…where’s Lebron?! Ok, I know, I know…but an NBA fan’s gotta ask!